I was in the hayfield today collecting samples of Bermudagrass Stem Magget for post doc Dr. Lisa Baxter. 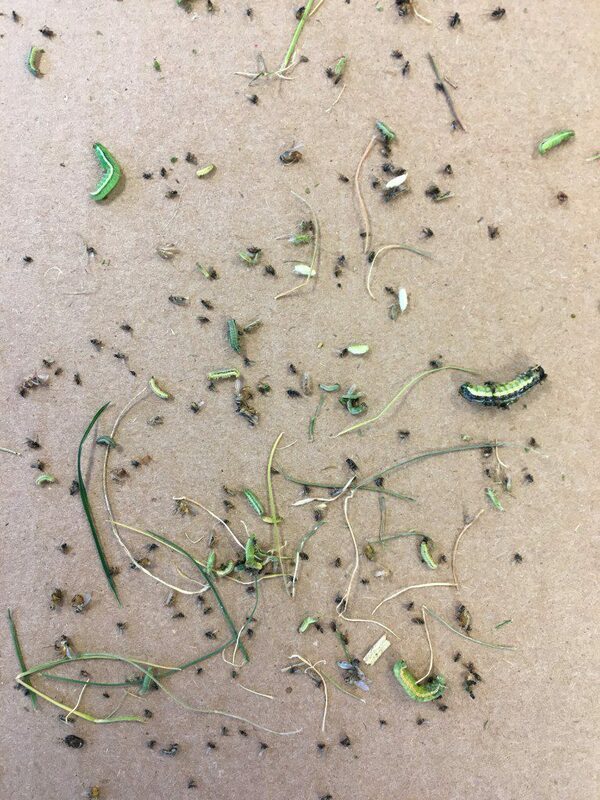 In doing my sweet net portion, it was obvious the number of armyworms present. To complete this project for Lisa, I had to visit the field for times today and sample each time with the sweepnet. Each time we sweep 25 times. In my sweepnet the largest caterpillars were an inch long. Most were very tiny and this is when we need to catch them. These populations are going to explode on us. This is a close up of my insects after I froze them to put in the bag. Notice all the caterpillars, very small. One reason we talk about scouting is because Ben Hill county agent Holly Anderson talked to me today because she did her Bermuda grass Stem Maget sampling today as well. 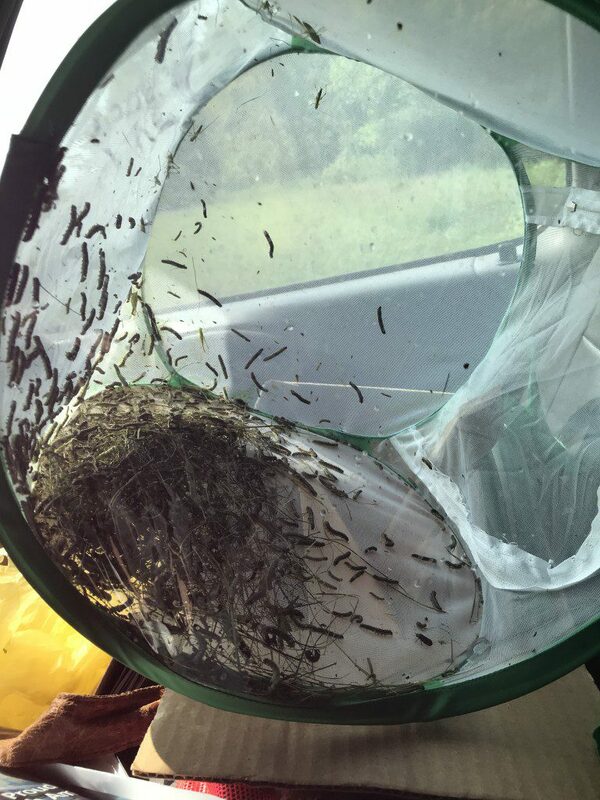 She sent me this picture of the armyworms she was picking up in her sweepnet. Notice how many more she had and how big the worms already are. This is the difference in the field she is in in Ben Hill county and the hayfield I’m in Wilcox County. 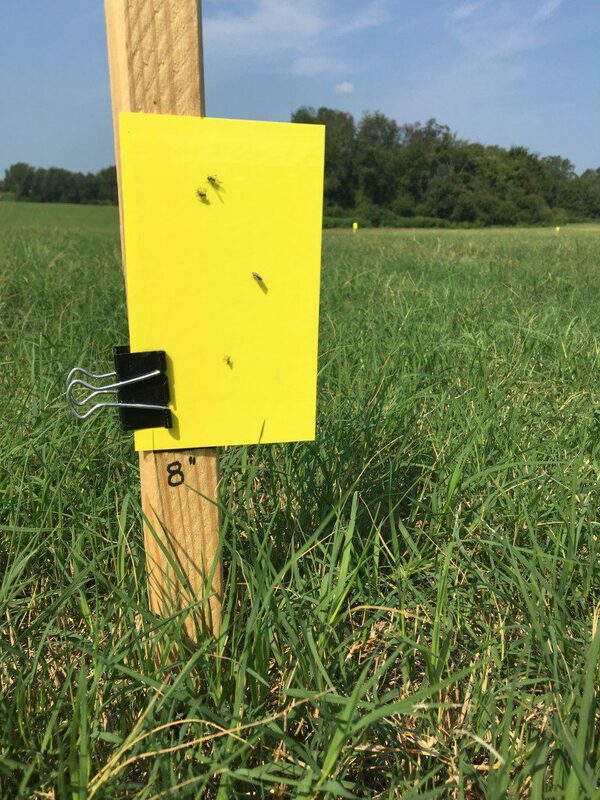 Posted in Forage / Pasture, Insect. Bookmark the permalink. Previous: Early Leaf Spot… Late?